The black and yellow rockfish (Sebastes chrysomelas) is a common rockfish that lives on rocky reefs and around Kelp forests in Southern and Central California and an occasional species in Baja and Northern California. It is a member of the Sebastidae family which include rockfishes, rock cods and thornyheads. 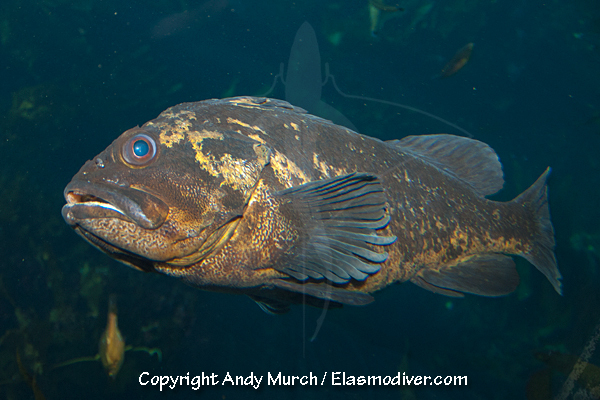 These Black and Yellow Rockfish pictures are available for commercial licensing. For further information regarding usage please e-mail Elasmodiver. All of the images on elasmodiver.com are copyright protected. No unauthorized use of these Black and Yellow Rockfish pictures is permitted. Please contact Elasmodiver for further information.